Stop by the ISAGENIX vendor booth at the Wa State Fitness Expo for cutting edge Health and Wellness products. 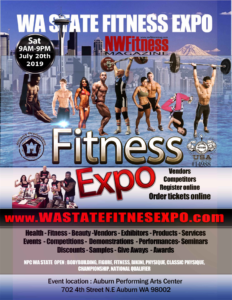 Come talk to Darrylin Sunderland at the ISAGENIXbooth at the Wa State Fitness Expo July 20th and find out how the ISAGENIX Amped line can enhance your performance. As an athlete or someone who works out, chances are you’ve heard of nutrient timing. It’s the nutritional strategy that’s based on getting specific types of nutrients at specific times to maximize training adaptation or enhance performance. By timing your intake of nutrients before, during, or after your workouts, you’ll amplify exercise gains and even speed recovery. So you can get more out of training every time, train more often, recover faster, and improve performance in your sport. Now Isagenix is making it easy for you to take advantage of the latest science in nutrient timing with a new line of convenient products designed for athletes and exercise performance. We’re taking performance nutrition to a whole new level with our new, science-based, and delicious line of AMPED products. AMPED Power – Like no other pre-workout, AMPED Power combines creatine and other specialized ingredients that support nitric-oxide production. Together these bioactives increase available cellular energy and maximize oxygen and nutrient delivery to working muscles. Taken before a workout, AMPED Power will increase strength and power for greater muscle and performance gains. The next step in nutrient timing happens during your workout. AMPED Hydrate – Hydration is a key to a successful workout. AMPED Hydrate is a sports drink designed to optimize hydration, electrolyte, and vitamin status. With AMPED Hydrate you can keep your performance at a peak level by staying hydrated and maintaining electrolyte status. You’ll also keep muscles fueled with energy. The last thing you want is fatigue during training! AMPED Fuel – Here’s where AMPED Fuel also comes in. It has a mixture of easy-to-digest carbohydrates to fuel muscles during exercise. When workouts or sports events are longer and energy needs are greater, AMPED Fuel has the nutrients you need. This convenient and portable puree provides even more easy-to-digest carbs from apple, agave, and molasses to energize muscles. It also contains branched-chain amino acids that help keep muscles from breaking down during extended training or endurance events. AMPED Recover – After a workout is the time to give your body what it needs for optimal recovery and adaptation. The post-workout period is when muscle tissue goes into a process of rebuilding and growth, and it’s a perfect time to kick the process into high gear with AMPED Recover. AMPED Recover is a drink mix featuring a combination of branched-chain-amino acids and l-carnitine to speed workout recovery and optimize muscle rebuilding. For maximum results, take AMPED Recover alongside a serving of IsaPro or IsaLean Pro Shakes. AMPED NOx – Finally, rounding out the AMPED line of products is AMPED NOx. AMPED NOx is a 2 oz. concentrate that can be taken anytime of day – as a way to support nitric oxide production and blood flow in an entirely different way than AMPED Power. It contains beet, celery, and red spinach extracts, plus an additional blend of dietary nitrate-containing vegetable and fruit extracts. 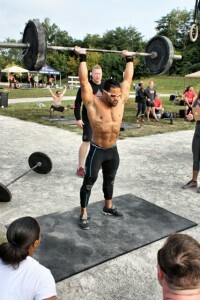 What will AMPED NOx do for your training? By supporting blood flow, it increases delivery of oxygen and nutrients to working muscles so that you can go the distance in any training session or event. By using the AMPED product line, you’re capitalizing on the latest science of nutrient timing. Whether you’re a cyclist, a runner, a basketball player, body builder, or a power lifter, or if you just want your workouts to be more effective, AMPED products will take your athletic performance to the next level. 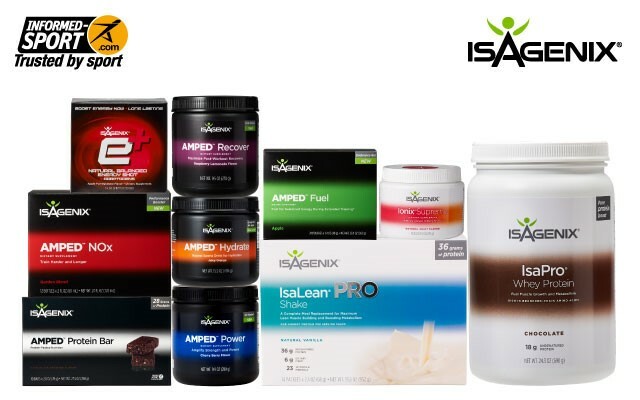 The AMPED family is your new Isagenix Performance solution.